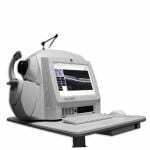 The Heidelberg HRT3 Retina Tomograph (HRT) is a proven, essential tool for detecting and managing glaucoma, especially for assisting in the identification of pre-perimetric disease and tracking progression. The Ancillary Study to the Ocular Hypertension Treatment Study (OHTS) demonstrated that optic disc analysis detected glaucoma conversion in 55% of cases, before any detectable loss of visual function. EasyScan is the only retinal imaging device helps you make your eye examinations customer-friendly, relevant and impactful. 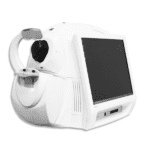 Quick checkups, requiring no dilation, no darkened room, and working with small pupils… The EasyScan allows you to effortlessly take stunning pictures – and comes equipped with features specifically designed to facilitate communication with your customers, thus improving their comfort and understanding. Show your customers that only you can transform the typical tedious eye exam into an enjoyable and rewarding experience.. and leave them with a positive impression of your consultation. The Oculus Pentacam comes with an extensive basic software package which can be extended according to your needs to include further optional software packages and modules. 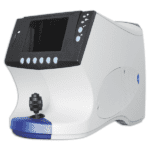 The Oculus Pentacam HR comes with an extensive basic software package which can be extended according to your needs to include further optional software packages and modules. 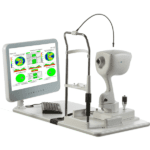 AngioAnalytics allows you to measure foveal avascular zone (FAZ) parameters, areas of abnormal flow in the outer retina and choroid, and vessel density of the superficial vascular complex, deep vascular complex and radial peripapillary capillaries. Multi scan analysis enables assessment of visit-to visit change, and trend reports predict change over time to bring powerful new information to your daily clinical practice. 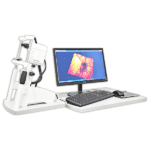 Avanti Widefield OCT gives you new information on structures outside the traditional 6×6 mm cube, separates the retina into distinct layers for detailed assessment, offers views of the vitreous and deep choroid, and gives you the ability to monitor change over time. With the extensive information delivered by the Avanti System, you can tailor your approach to treatment and truly personalize patient care. 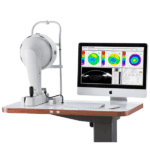 The OptoVue iFusion and iVue OCT System is a powerful clinical tool that transforms the way you assess the retina, optic disc and the cornea. 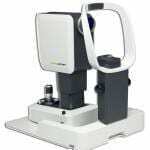 Quantify the thickness of the retina, nerve fiber layer, ganglion cell complex and the cornea. Track change and predict trends in RNFL and GCC thickness and precisely measure angles to aid in disease diagnosis. 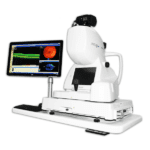 The OptoVue iVue OCT System is a powerful clinical tool that transforms the way you assess the retina, optic disc and the cornea. 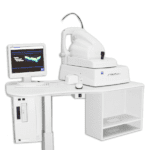 Quantify the thickness of the retina, nerve fiber layer, ganglion cell complex and the cornea. Track change and predict trends in RNFL and GCC thickness and precisely measure angles to aid in disease diagnosis. The founders of Optovue have hands on experience on the development of all three previous and current generations of ophthalmic OCT products. RTVue is designed with the goal to advance the retinal diagnosis for routine clinic use in mind. 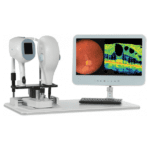 The Topcon 3D OCT 2000 System is the first Spectral Domain OCT system to incorporate a high resolution fundus camera and a user friendly color touch screen display in a compact, space saving design. 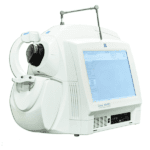 ZEISS CIRRUS HD-OCT 500 provides a great solution for comprehensive ophthalmic practices and offers essential OCT capabilities with a broad range of clinical applications in an easy-to-learn, easy-to-use instrument for the management of glaucoma and retinal disease, retina assessment for cataract surgery, and anterior segment imaging for corneal disease. 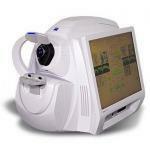 The new OCT camera enables quick OCT fundus image refresh making patient alignment more efficient. 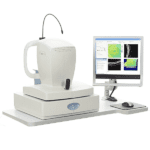 The ZEISS Cirrus HD-OCT 4000 refurbished and calibrated to factory specifications uses spectral domain technology to capture exquisite volumetric (3D) and high definition line scans of the retina for precise detail of retinal tissue and pathology. 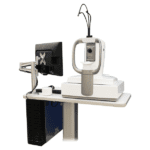 The Zeiss GDx VCC Tomographer features Glaucoma Detection with Variable Corneal Compensation (or GDx VCC) is a diagnostic instrument that performs a non-obtrusive retinal scan to measure the thickness of the retinal nerve fiber layer without dilation. Changes in the thickness of the nerve layer is an early indicator of glaucoma, which often appears without warnings or symptoms. 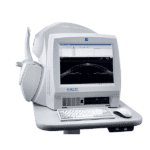 The ZEISS Stratus OCT is a diagnostic imaging device that provides direct cross sectional images of the retina for objective measurement and subjective clinical evaluation in the detection of glaucoma and retinal diseases. 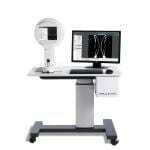 The STRATUS OCT images and analyzes macular thickness, the retinal nerve fiber layer and the optic disc using the latest technology for high resolution scans. The technological expertise of ZEISS presents the ZEISS Visante OCT system, with high resolution images, an exceptional design, and new LASIK information the Visante system it just as revolutionary as what has been standard in all ZEISS instruments and equipment. 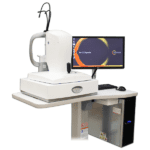 With this powerful ray-traced Total Corneal Wavefront solution, the GALILEI G4 precisely measures high order aberrations for highly predictable outcomes in cataract surgery. 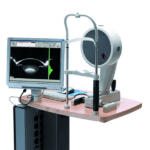 The high order aberration display helps identifying the most suitable IOL for every patient.